Mother’s Day is just around the corner, and you’re wondering what to do. You’ve already spent several weekends walking around the local gift stores, but are still lacking inspiration. Every year up until now, your gifts have revolved around flowers and chocolates. This year you’ve decided to try a different kind of gift. A friend of yours mentioned the gift of homeware. You agreed it would be a good idea, without realising what homeware was. It’s actually quite an all encompassing description of items for the home. Such as crockery, furniture, and furnishings. Therefore, it can include items such as cushions, bedding, kitchen equipment, ornaments, knick knacks. Pretty much anything for the home really. Such a wide category in which to look for a gift can be a blessing, but also cause significant problems. Too much to choose from is not necessarily a good thing. Don’t panic too much though because that’s why we’re here. To guide you through the maze of homeware gifts for Mother’s Day. When considering homeware for a Mother’s Day gift it’s important to consider the preferences of your mom. You might want to buy a particular item because you’d love to see it sat in your own kitchen, or displayed on the shelf. But is it going to match your mom’s decor, and is she really going to find it useful? The latest coffee machine might serve your own morning routine well, but if your mom’s a tea drinker it’s just going to gather dust, or worse still remain in its box and never see the light of day. Let’s give you a few suggestions for Mother’s Day gifts, and you might get some inspiration with which to continue your gift shopping. Furnishings for the floor – You might think this is a little impersonal, but a great rug will bring the look of a room together. Or you can give your mom something warm to run her toes through when she gets out of bed. Or how about a humorous doormat that declares ‘Mom’s Home’. Candles – Lighting candles can completely change the atmosphere of a room. A warm and gentle light will soon spread around your mom’s home. There are also a number of meaningful scents to choose from if you want evoke a special memory. How about the smell of an ocean breeze? To remind her of family vacations. Or the smell of Christmas spices to help her remember family Yuletide celebrations. Vase – If she’s a lover of fresh cut flowers, a vase will be a very practical addition for her home. Choose something that will compliment her current decor, or her own personal style. Vases can also be very decorative items, and there are so many to choose from you’re sure to find one that will suit your mom’s taste. Why not consider a gold dipped vase? Or one with its own history? Glassware – These come in all shapes, sizes, and colors. There are glasses for whisky, glasses for wine. And not forgetting glasses for those who prefer fruit juice to alcoholic beverages. 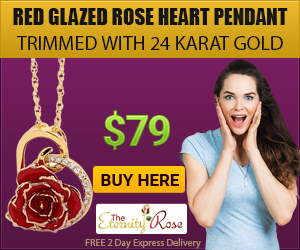 They can be engraved with a thoughtful message, or trimmed with gold. Make the gift even more memorable with a bottle of her favorite tipple. Tools for the garden – Not a gift to put on display in the home, but nevertheless the kind of gift that will often feature in the homeware section of an online gift store. 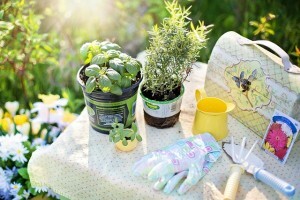 If your mom is a bit of a gardening fanatic we’re pretty sure she really appreciate some new tools. Throw in a few packets of seeds, and she’ll be all set to tackle the weeds and start growing something pretty. Top quality pans – If your mom is a great cook then treat her to the very best quality pots and pans. For years she’s been struggling with the same old cooking pots, but is still able to produce some tasty dishes. Help her to up the ante with equipment that will add to the family meal. Dining set – With her family all grown up she’s got more time for holding dinner parties. Give her a new dinner service for her Mother’s Day gift, and all her dinner guests will be green with envy. Now you’ve got an idea of the kind of gifts that come under the homeware category, let’s give you a few tips. While buying a Mother’s day gift for your mom’s home is a great idea, some of you may find it fraught with danger. Are you sure you’re going to pick the right gift? Or is it destined to spend its days at the back of the shed? Read the following tips and it should be less stressful. Should it really be a surprise? – Or would it be better if you took your mom shopping and choose something together? Make a day of it and enjoy a Mother’s Day lunch as well. Heaven forbid, but she might not like it – You might be very disappointed if she doesn’t like it, but at least give her the option of returning it to the store. Checkout the company’s return policy. Remember it’s a gift for her not you – Don’t buy a gift because you’d like it in your home. As soon as she unwraps your gift she should want to find a special place to display it. If not you’ve failed. Make something yourself – If your mom is a movie buff, buy her favorite films on DVD and include a box of popcorn, box of tissues, and a cushion to ensure she’s comfy. If she’s an avid gardener then some gardening tools, plants, seeds, or equipment to make her gardening tasks easier will be appreciated. The ideas on this page are only here to serve as food for thought. Sometimes all that’s needed is a spark in the mind of the gift giver. And we hope you’ve had one. If not stay tuned because we’ll be featuring lots more ideas for Mother’s Day gifts.